A judge upheld 'most but not all' of Consumer Affairs Victoria's case against her. 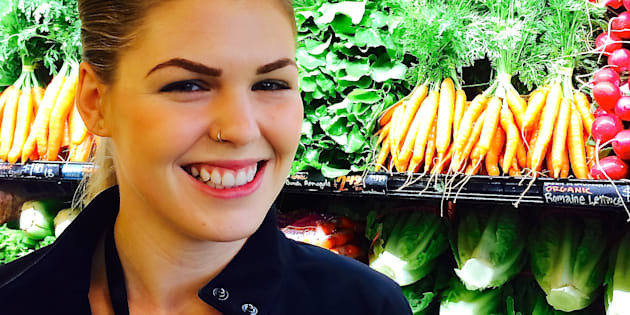 Cancer fake and disgraced blogger Belle Gibson engaged in misleading and deceptive conduct when she lied about her health to build her wellness empire. Federal judge Justice Debra Mortimer on Wednesday upheld "most but not all" of Consumer Affairs Victoria's case against Gibson, who claimed she recovered from terminal brain cancer thanks to nutrition and holistic medicine while making thousands of dollars via social media and a cooking app. "I am satisfied that, in the context the statements were made, members of the community reading those statements would be erroneously led to believe that Ms Gibson was suffering from terminal brain cancer where this was never the case," Justice Mortimer said. Justice Mortimer also raised the possibility Gibson was under some "delusion" she had cancer even after releasing her book. "Having conventional treatment was the premise upon which the rest of Ms Gibson's story was built — that is, that she turned away from the conventional treatments for cancer in favour of 'healing' herself through nutrition and other alternative remedies," Justice Mortimer said. "There is no evidence to suggest Ms Gibson had any conventional cancer treatment." The ruling comes as Gibson was apparently sprung spruiking a new diet, the Master Fast diet, which it was claimed had healed cavities in her teeth, shrunk her tonsils and changed her eye colour. The Herald Sun reported that since starting the new fad diet, which included fasting and regular enemas, Gibson told followers she had passed "a huge rope worm." The paper reported she had posted under the name "Harry Gibson." The ruling comes after Consumer Affairs Victoria launched its investigation into her claims, and 10 months after the civil case was brought against her. Gibson was reportedly not in court for the ruling.